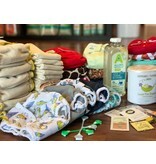 At least one month before your due date, sign up and pay for your chosen diaper rental package to ensure availability. Beginning two weeks before your due date, your package will be available to pick up from the Nappy Shoppe. You will be required to attend one of our Cloth 101 classes. Class fee is $10 per couple. Use your diapers for up to three months. Return your items, clean, dry and in good condition. 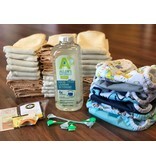 Diaper creams, detergents, flushable liners that may be in the package are yours to keep. (varies depending on the package chosen). You will receive $50 store credit to use on anything you wish in our store. 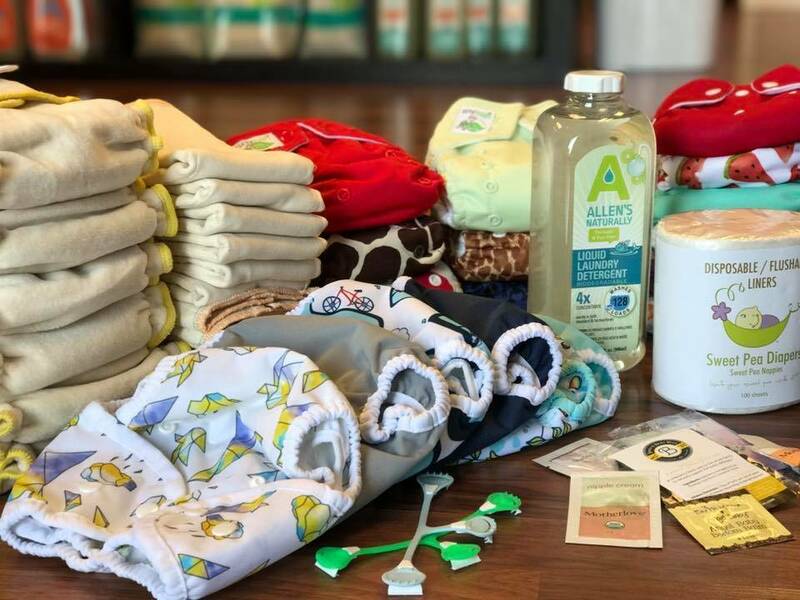 Diapers and accessories will be a mix of new and used. All new diapers will be washed and prepped for immediate use. Used diapers will have been cleaned and washed in our store washer. Any diaper or accessory that is defective or no longer usable during the rental period may be returned to the Nappy Shoppe for a replacement at Nappy Shoppe staff discretion. Any diapers that are missing or returned in unsatisfactory condition will be charged to the customer. Can I choose my brands and prints? Sorry, we choose. We have limited availability of various brands etc. We just ask that you choose boyish, girlish or gender neutral when you sign up. Can I use my own detergent? No. We ask that you use our detergent. 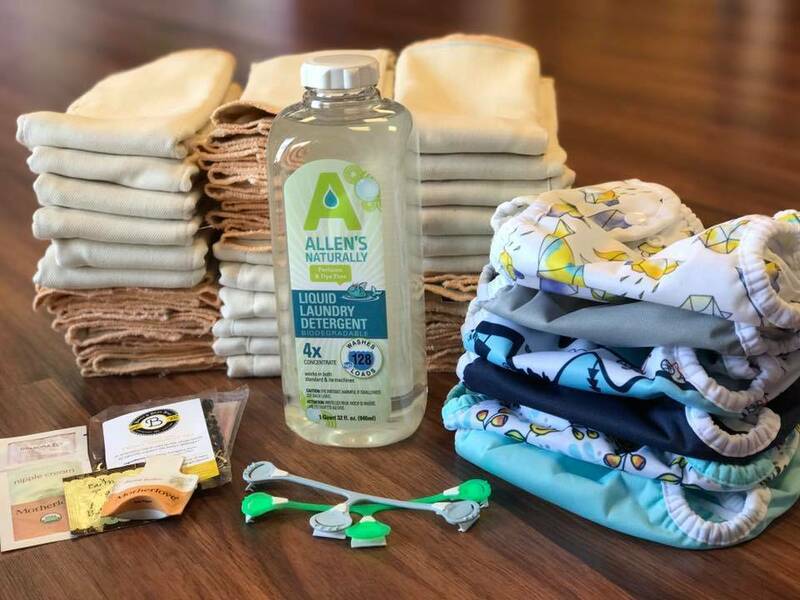 If we find that another detergent was used and the diapers were damaged as a result, you will be responsible for the replacement of the affected diapers. We will provide you with washing instructions. We ask that you follow our care instructions. The internet is full of different methods, but we have found our methods to work in our water. What if I want to keep the diapers when I am done? You can do that. We will give you the opportunity to buy the diapers at market value when done. There may be an amount over the deposit that you may need to pay. What if I lose or damage the diapers. Any diapers that are missing or returned in unsatisfactory condition will be charged to you at the full price of the diaper. This package is a great budget friendly option. Great for trying different types, determining what works best for your family in the long term. We will include a mix of brands. *Layaway options available. See an associate for more information. *Pictures are just examples. Packages may contain different colors and prints.